As a business owner, you have a lot of responsibilities. Often times, especially in the early stages of your business, you’re both rowing the boat and steering the ship. That’s why it’s so important to pay yourself appropriately for all the work you do. Like everything else with your business, how you pay yourself is a decision, and there are many different options with different implications. While most employees are paid wages or a salary—compensation that is subject to income tax withholding and employer taxes—depending on what type of business you own, you may be paid very differently. Plus, you not only have to think about how you’ll be paid, but how much you’ll be paid (and no, you can’t just pay yourself your dream salary right away). So, as business owner, are you paying yourself properly? When it comes to getting paid, how you structure your business matters. Your business structure is the way you legally organize your company. Business structure impacts many facets of your company, including your tax obligations, which is of particular importance when thinking about how you’ll get paid. You can structure your business as a sole proprietorship, partnership, LLC, S corporation, or C corporation—yup, there are a lot of options. And there really is no “right” way to set up your business. Choosing a business entity that’s right for you depends on a variety of factors, like how many owners are involved, the kind of business you want to build, and, of course, how you want to pay yourself. If you already started a business and haven’t actively chosen a business structure, then you’re automatically a sole proprietorship. With fewer government regulations and tax obligations than other structures, this is considered one of the easiest and least expensive ways to start a business. Being a sole proprietor simply means that you are your business, which means you are entitled to all your business’s income. Under this business structure, you have complete control over your business and all assets belong to you—and so do all liabilities. Your business is not taxed separately, which means your business’s income is your income, typically reported with a Schedule C and the standard Form 1040. This also means you pay personal income tax on the profits of the business. Additionally, you’ll pay self-employment tax (to cover things like Medicare and Social Security) and estimated tax. Self-employment tax includes both the employer and employee portions of Social Security and Medicare taxes and is often paid quarterly. Estimated taxes are similar to income taxes taken out of an employee’s paycheck; you estimate the amount owed to the government and pay them quarterly. Sole proprietorships use Schedule C, which breaks down the business’s profits and losses throughout the year, to file business taxes. The Schedule C form is attached to Form 1040. A partnership is a great option for people who prefer working on teams. If you’re in business with one or more partners, you can consider your business a partnership. Under this structure, you and your partners will share in the profits and losses of the business (to be determined by a formal, signed partnership agreement). A partnership does not pay income tax at the business level, but rather the profits pass through to the partners (and the tax liability passes through the business and lands on the partners). Partnerships file Form 1065 (to report profits and losses) and Schedule K-1 (to report partners’ shares of profits and losses) for the respective partners. Neither sole proprietorships nor partnerships protect you from the many liabilities of owning a business. You’re personally responsible for the good and the bad—assets, income, losses and liabilities. Other business structures—like LLCs and corporations—help avoid liability, make it easier to have many owners, and offer greater potential for tax savings. With “limited liability” in its name, an LLC may be a good business structure for you if you’re adamant about having liability protection. LLCs are somewhat of a hybrid of partnerships and corporations, offering the tax pass-throughs of a partnership and the limitations in liabilities of a corporation. This structure offers limited personal liability but is more flexible than a corporation with respect to governance and tax treatment. Rather than being taxed as a business entity, profits can be passed through to LLC members and taxed as personal income. You will file different LLC tax forms depending on if your business is a single-member or multi-member LLC. Single-member LLCs are taxed as sole proprietorships, with profits and losses reported on Schedule C. Multi-member LLCs are taxed as partnerships, with owners paying taxes on their share of the business and reporting income on their personal tax returns. LLC members are considered self-employed business owners and income taxes are thereby not automatically withheld. As in the case of a sole proprietorship, LLC members must pay self-employment taxes and estimate their income tax liability and make quarterly tax payments. Some states allow LLCs to be taxed as corporations, which can mean lower business tax rates. Each state has different rules for LLCs; check with your state or a tax advisor to understand which laws apply to your business. S corporations (S corps for short) are a good option if you want to avoid personal liability and have multiple owners (known as shareholders). This business structure acts like a traditional C corporation but is a bit easier to run due to its smaller scale. In an S corp the business itself is not taxed. Instead, shareholders pay income tax on the profits and losses that come through their personal tax returns. When shareholders withdraw money from the business as a distribution, that money is not subject to payroll taxes. However, shareholders who are also employed by the corp must pay themselves a reasonable salary before taking a distribution, as per the IRS. “Reasonable compensation” is a HUGE grey area for which the IRS offers no specific guidelines in the Code or Regulations. We’ll revisit this topic later. Big businesses, and businesses with big growth plans, typically choose to structure themselves as C corporations (C corps). Unlike an S corp, which must have fewer than 100 shareholders, C corps can have an unlimited number of shareholders. Ownership is more liquid because it’s easier for shareholders to buy and sell shares (most publicly-traded companies are C corps). While making ownership more liquid can be advantageous, you also must do more to create transparency for your shareholders and the state in the form of every business owner’s nemesis: more detailed record-keeping and reporting. Whereas S corps are not subject to corporate income tax, C corps are. Additionally, shareholders are taxed personally when they receive income or dividends. While this business structure certainly has its perks (like offering stock in exchange for an ownership stake), this double taxation is a big downside for many business owners. Now that we’ve explored the taxation associated with different business entities, let’s explore how you can pay yourself as a business owner depending on how your business is structured. Sole proprietors and partners are free to pay themselves by taking profits out of their businesses (called a “draw”) whenever they’d like. Payroll withholdings do not apply, however, self-employment tax and estimated taxes—to be paid on a quarterly basis—do. You essentially pay the equivalent to your reported income when it comes time to file taxes. That’s why it’s important to always consider the eventual tax bill when paying yourself a draw. For the sake of financial organization, business owners who are sole proprietors or partners should consider paying themselves a salary on a regular basis. A regularly scheduled owner draw from your business account helps paint a clearer picture of what your business costs to run. If you are part of a partnership, you will take an owner distribution. As discussed above, partnerships are pass-through tax entities, which means the owners are responsible for paying their share of taxes. Much like sole proprietors, partners are the same legal entity as their business, and are subject to self-employment tax. Owners of an LLC have shared tax responsibilities and are not the same legal entity as their business. Single-member LLCs are considered disregarded entities and treated as sole proprietorships. Thus you will receive distributions from your business’s profits. Multi-member LLCs are treated as partnerships, and thus each owner pays their share of taxes, with you and other members of the LLC receiving draws from your business’s profits. If you are an officer in a corporation, you are legally required to be on the payroll and receive regular paychecks with withholdings for Social Security, Medicare, federal income taxes, and any state income taxes. There are some differences in how you’ll be paid depending on whether you’re an officer in a C corp or an S corp. In a C corp, the business and its owners are legally separate entities. If your business is structured like a C corp, and you are actively working for the business, you will be treated like an employee and thus receive a salary like an employee. C corps are double-taxed; the business is taxed and the business’s profits are taxed through each owner’s income. Just like with a C corp, an S corp separates the company from its owners. You will receive a salary to be taxed like normal employee compensation, however, unlike with a C corp, you are not double-taxed. As the owner of an S corp, you can also take additional money beyond your salary in the form of a draw or a distribution. Checks for draws and distributions are written without withholding the taxes taken out of a standard payroll check. Before you start cutting checks to yourself, you should carefully consider the total amount of your salary and draws, and whether or not that amount is “reasonable compensation” as required by the IRS. Employee qualifications and role in the company. This factor considers your years of experience, education, training, and position in the business. How well the business is performing. This factor takes into account the ups and downs of running a business (and how your salary varies accordingly), and also considers the prevailing economic conditions under which your business operates. Prevailing rates of compensation and external comparison to other businesses. 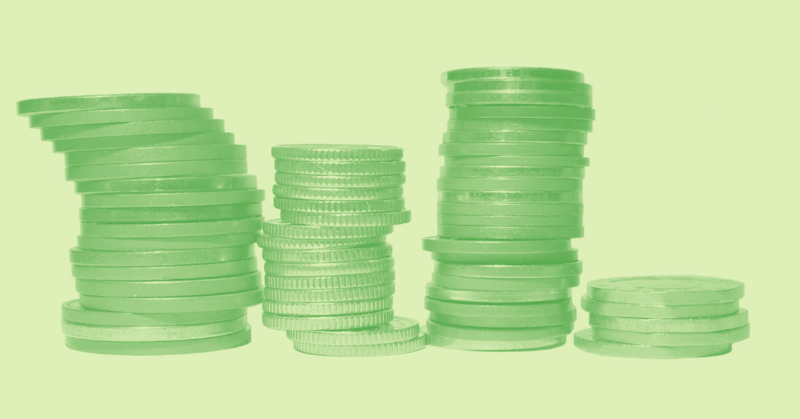 This factor examines how your salary compares to that of your peers. Salary policy of the taxpayer compared to all employees. This factor looks at your salary as compared to the salaries of your employees and examines whether or not there is internal consistency in how you and your employees are compensated. As previously mentioned, there is no formula to determine your “reasonable salary.” Thinking through some of the factors above can help guide you in your decision. Do your research on what is comparable; salaries and wages will vary depending on your location and the size of your business. Consider your value to your business, and research how much others are paid to do similar tasks. Be sure to compare yourself to people managing business of similar size, location, and industry. Payscale helps you determine what you’re worth and how much you should pay yourself based on real-time information on job market compensation. You should also think about things like how profitable your business is. Before you start awarding your hard work with a hefty paycheck, make sure your business is actually profitable. If your business is barely scraping by, you should reduce your personal income. Small business owners typically limit their wages to 50% of their business’s profits to ensure that their business will retain enough of its profits to continue growing and operating efficiently. You should also consider your expenses when determining how much to pay yourself; if you have more expenses than revenue, you may consider taking a temporary pay cut. If your business has become profitable enough that you can be paid for your efforts, congratulations! As a business owner, this is a big milestone. Like any other business decision, deciding how—and how much—to pay yourself requires careful consideration. It’s your business and your budget, which ultimately means that the size of your “paycheck” is up to you. But your paycheck is often a balance between what your business can afford and what you’re worth, and your freedom is limited by how your business is structured and the corresponding legal implications. Getting it right is essential not only for legal reasons, but also because as a business owner, paying yourself appropriately illustrates the viability and overall health of your business.